There's been a little bit of drama amongst my friend circle regarding my donut recipes. A good friend of mine refuses to accept my donuts as real donuts -- she instead calls them "cupcake hoops", arguing that "part of the 'donut' definition is 'deep fried'." Well, haters gonna hate. Taters gonna tate. Think about THAT, Masterson. Think about it. 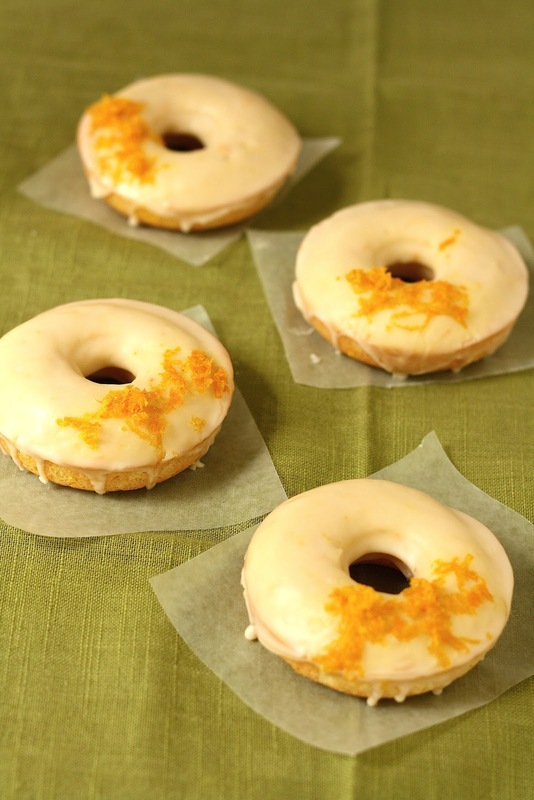 Orange Scented Cake Donuts with a Milky Earl Grey Tea Glaze! Kind of an odd flavor combination, I know. In truth, this recipe was inspired by the leftover food in my kitchen pantry. The quarter-filled cartons of milk, the tiny stubs of butter, the pinches of ingredients that I needed to get rid of before my big move from Denver to Portland. Lucky for me, the first donut recipe I ever tried required small (and odd) proportions of ingredients. Tablespoons of milk and cream, half tablespoons of butter... exactly the sorts of leftovers I had left in my fridge. 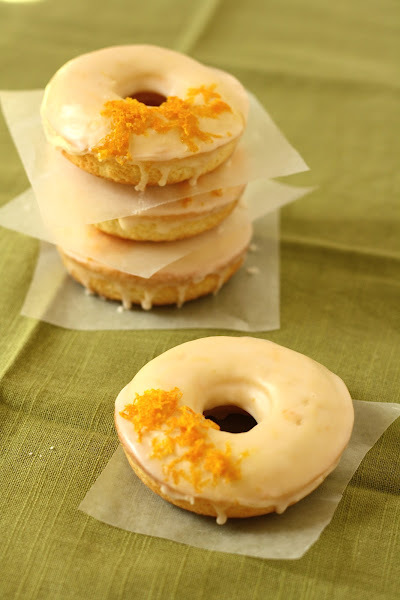 So forgive me folks, if you were looking to try something new -- this is the same recipe that I used for my lemon scented cake donuts with rosewater frosting... just reworked with some new flavor combinations. 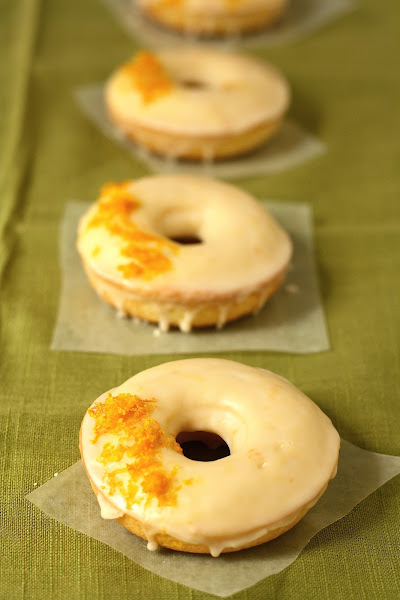 I promise I'll be trying new donut recipes once I'm settled in Portland... maybe even some deep-fried ones too! 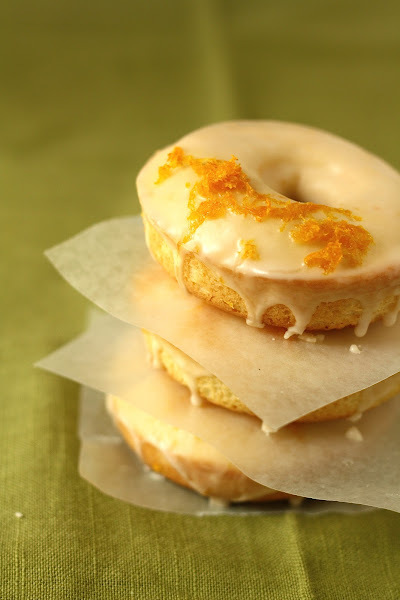 I think if you're looking for a stronger tea flavor, I'd recommend skipping the orange zest topping and just leaving the donuts with the milky glaze. Maybe swapping it out for some Earl Grey tea leaves instead? Unless of course, you want a strong citrusy flavor. Because truth be told, despite the lack of Earl Grey Tea flavor, I would definitely make this again. 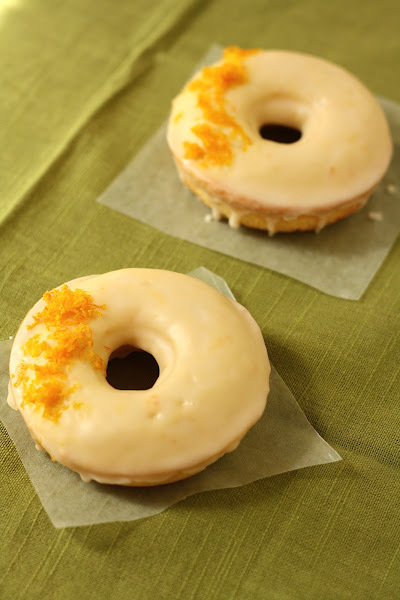 The orange flavor is lovely -- the donuts reminded me of childhood tea parties and go well with a glass of cold milk. Nothing is better than that. So without further ado, I present to you the recipe. I hope you like it! Spray the donut cavities in your donut pan with cooking spray. I like to use Coconut Cooking Spray Oil from Spectrum, but any kind will do. If you don't have any cooking spray, use unsalted butter to generously butter the cavities in your pan. Put 1 cup flour, 1/3 cup plus 1 tablespoon sugar, 1/2 teaspoon baking powder*, and 1/2 tablespoon salt in the bowl of a freestanding electric mixer with a paddle attachment and beat on slow speed until everything is combined. 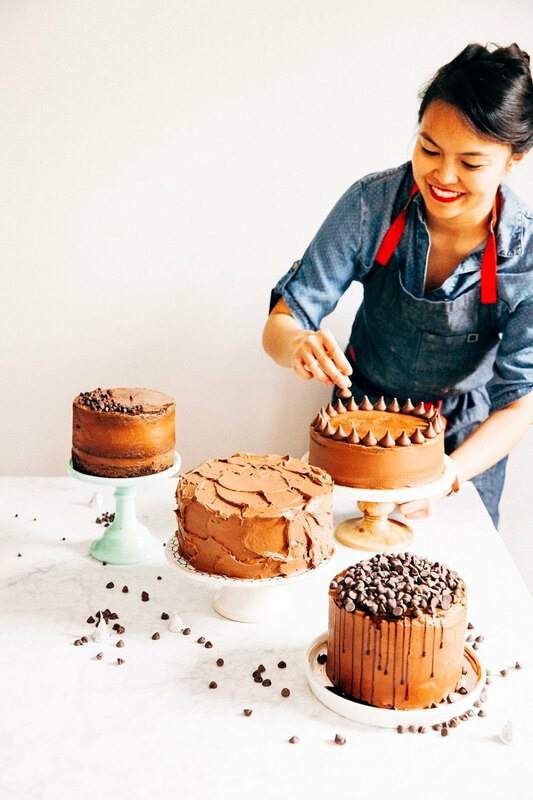 If you don't have a freestanding electric mixer, use a regular ol' whisk. Gets the job done just as well! Add 1/2 tablespoon melted butter, 1 egg, 3 tablespoons milk, 3 tablespoons cream, and 1 tablespoon orange zest to the flour mixture. Beat until well blended. Again, if you don't have a freestanding electric mixer, you can stir these ingredients by hand this time using a rubber spatula instead of a whisk. Once the batter is ready, fill your piping bag (or makeshift Ziploc piping bag :-) ) with the batter and fill each donut hole until two-thirds full. Be careful not to put too much dough into the cavities or you'll end up with donuts without any holes! 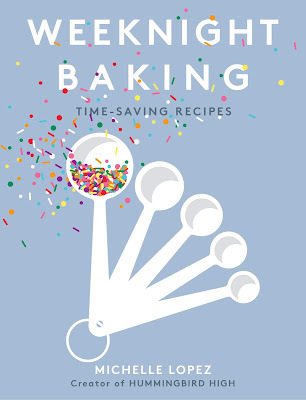 Bake for 14 - 16 minutes (for sea-level, bake for 8-10 minutes) or until the donuts spring back when lightly touched. Don't worry if they look pale -- trust me, the other side will be cooked. Place the baking tray on top of a cooling rack and let the donuts cool in the pan for a little bit before trying to unmold them. 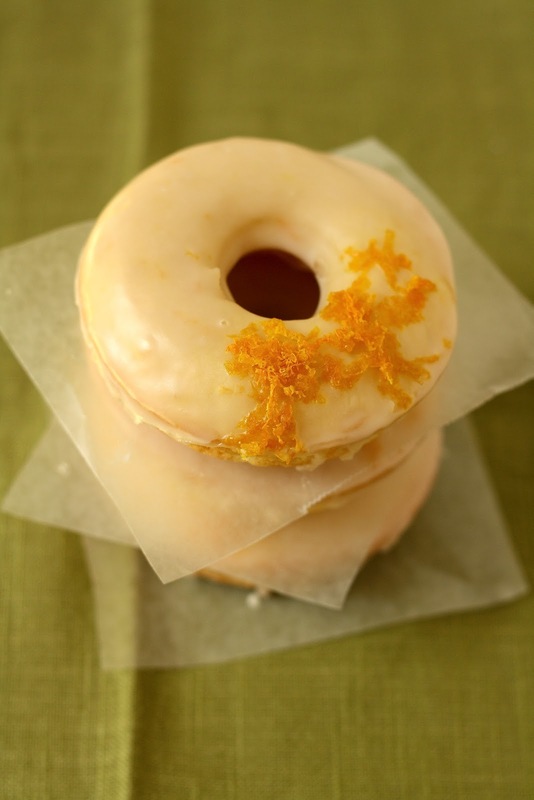 Once the donuts have cooled, prepare the Earl Grey Tea glaze. Bring 3 tablespoons of water to boil in a small saucepan or in a tea cup in the microwave. Remove from heat, add 1 Earl Grey tea bag, and let steep for at least 5 minutes. The longer you let the tea steep, the stronger your glaze will taste of Earl Grey. Since it's a very subtle flavor in the first place, I recommend steeping the water for around 10 minutes or so. In a medium bowl, stir together 1 cup confectioner's sugar, 1 tablespoon plus 1 teaspoon Earl Grey tea (from the water you just boiled), and 2 teaspoons milk until the sugar is completely dissolved and you are left with a liquid paste-like substance. Add a couple more drops of Earl Grey tea for a stronger flavor if you like. Stir the glaze until the color is uniform -- it should be a cream color at this point. Use immediately to glaze the donuts! If not the glaze will harden. The best way I found to glaze the donuts was to dunk the top halves of each donut into the bowl containing the glaze. Once the top has been glazed, lay the unglazed part of the donut on top of a cooling rack with a plate underneath -- this will allow excess glaze from the donut to drip onto the plate. 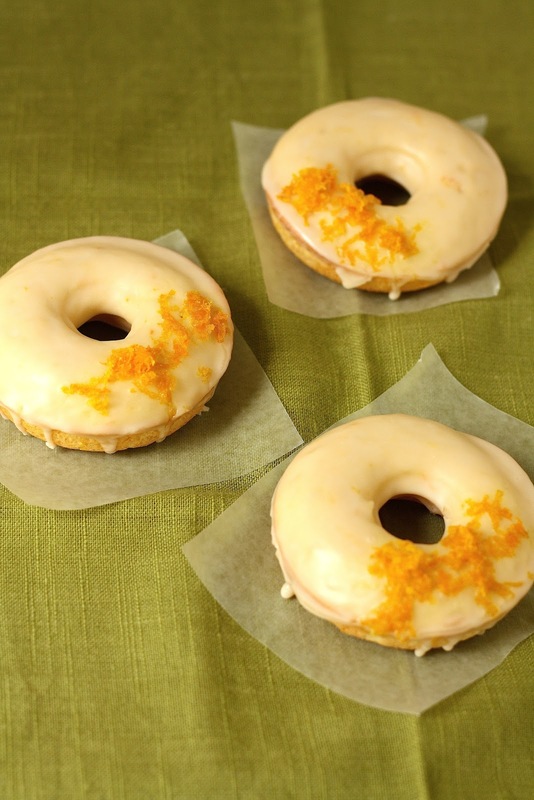 Once the donuts have been glazed, sprinkle immediately with your chosen decorations (e.g., sprinkles, orange zest, Earl Grey tea leaves). If you wait to decorate the donuts, the glaze will harden and the decorations will not stay on the glaze. I've been wanting a donut pan forever! I recently made mini cinnamon donuts with cream cheese glaze .. but I had to use a mini muffin pan & poke holes out of the mini muffins to make them into mini donuts. It took a little while.